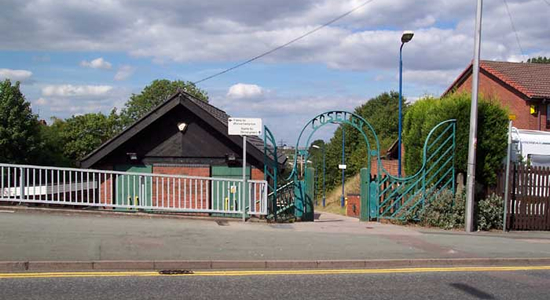 Deepfields & Coseley Station was opened by the LNWR in 1852 only to close exactly fifty years later in 1902. 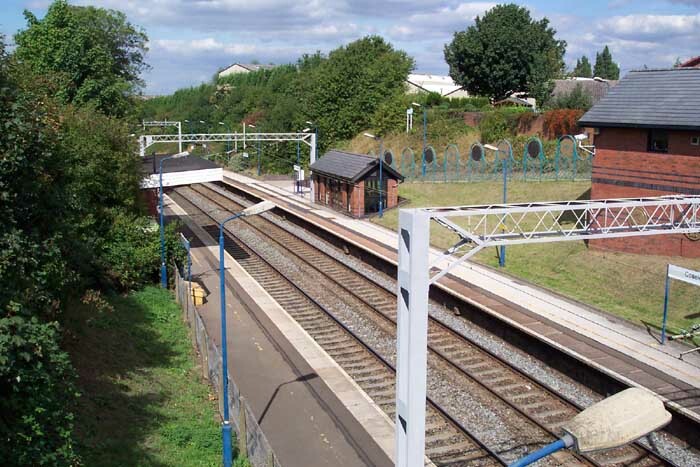 Coseley Station in its present setting opened in 1902 400 metres further down the track from the original station. At grouping the station came under LMS control. 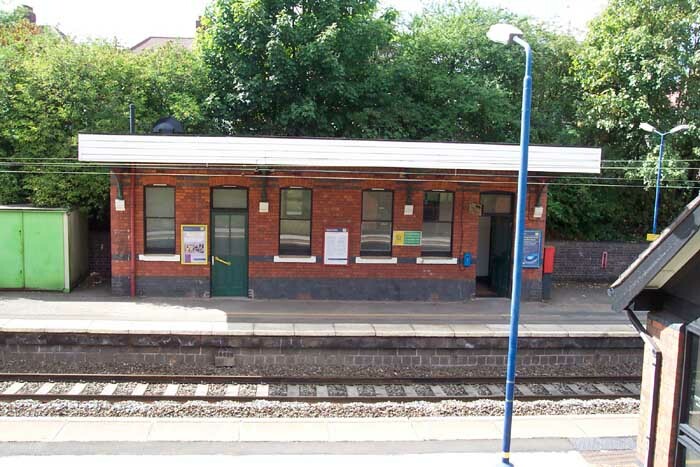 The original station buildings, however, have long-since been replaced except for the waiting room on the Wolverhampton platform which used to be a ticket office. Above-left we are on the Birmingham platform looking towards Tipton through the Gough Street road overbridge. Above-right we are in the same spot but this time looking towards Wolverhampton. 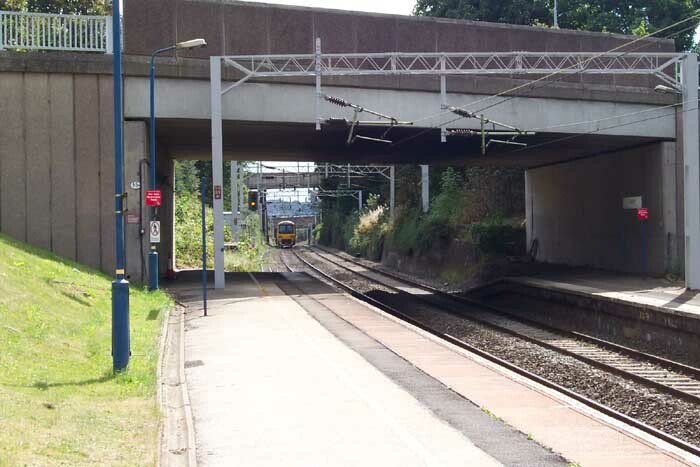 In terms of through traffic, Coseley is a very busy spot as it is on the main line to, and through, Wolverhampton and every couple of minutes all manner of express and goods trains can be seen passing through. Above-left we are at the top of the entrance pathway to the Wolverhampton platform looking across the station towards the small Birmingham platform waiting room. Above-right we are on the Birmingham platform looking across at the waiting rooms on the Wolverhampton platform which have survived rebuilding of the rest of the station. 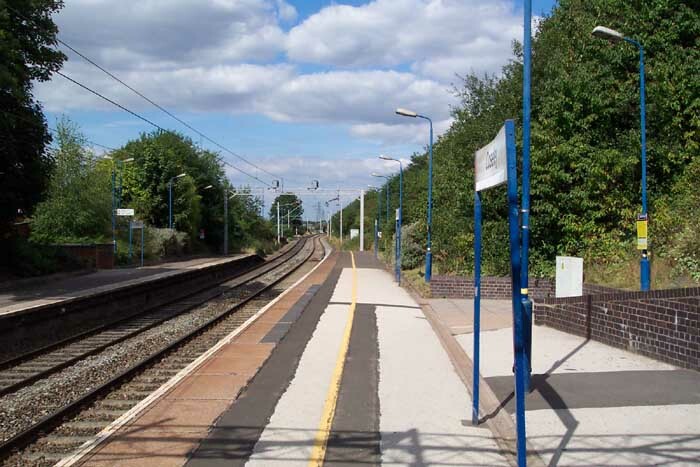 The station itself is served by the half-hourly Centro service from Wolverhampton through Birmingham Snow Hill to Coventry.